This entry was posted in Abalone Withering Syndrome Phage ID, In-situ Hybridization and tagged gel, Hyperladder I, in-situ hybridization, ISH, PCR, PCR DIG Probe Synthesis Kit, pCR2.1/RLOv_membrane_gene_1, pCR2.1/RLOv_membrane_gene_2, pCR2.1/RLOv_tail_fiber_gene, phage, RLOv, RLOv_membrane_gene_1, RLOv_membrane_gene_2, RLOv_tail_fiber_gene on 9 November, 2015 by kubu4. This entry was posted in Abalone Withering Syndrome Phage ID, In-situ Hybridization and tagged DNA helicase, head-to-tail connection, in-situ hybridization, ISH, membrane gene 01, membrane gene 02, phage, qPCR, RLOv, tail fiber, withering syndrome on 20 July, 2015 by kubu4. This entry was posted in Abalone Withering Syndrome Phage ID, In-situ Hybridization and tagged in-situ hybridization, ISH, phage, primer design, Primer3Plus, qPCR, withering syndrome on 16 July, 2015 by kubu4. This entry was posted in Abalone Withering Syndrome Phage ID, In-situ Hybridization and tagged in-situ hybridization, ISH, phage, withering syndrome on 20 November, 2014 by kubu4. This entry was posted in Abalone Withering Syndrome Phage ID, In-situ Hybridization and tagged abalone, in-situ hybridization, ISH, phage, withering syndrome on 19 November, 2014 by kubu4. 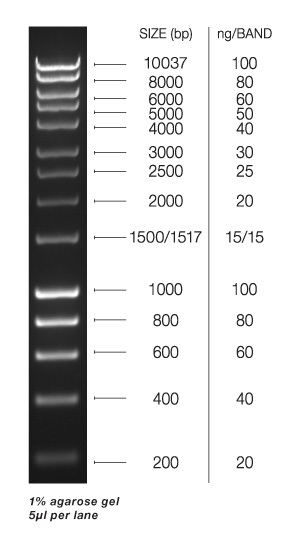 Cloned purified PCR products from 20140813 into the pCR2.1 vector using The Original TA Cloning Kit (Life Technologies/Invitrogen), according to the manufacturer’s protocol. Used 2uL of PCR product. Incubated ligation at RT for 15mins. Transformed TOP10 chemically competent cells (Life Technologies/Invitrogen) following the Rapid Transformation protocol (added 4uL of ligation reaction to thawed cells; incubated on ice 5mins; plated 50uL of cells on pre-warmed LB-Amp (50ug/mL) + X-gal (40uL of 40mg/mL stock) plates). Incubated O/N at 37C. Both cloning reactions look great; lots of potential clones. Will screen nine from each via PCR for detection of our desired insert. This entry was posted in Abalone Withering Syndrome Phage ID, In-situ Hybridization and tagged cloning, in-situ hybridization, ISH, pCR2.1, phage, TA cloning on 8 September, 2014 by kubu4.